Need some gift ideas for kids this year? I don’t know about you, but I find this time of year a little frantic! Christmas is fast approaching, school concerts are in full swing and I’m spending most evenings listening to 27 renditions of ‘Away in a Manger’. Yes, my daughter is pinging off the walls at her impending role as Angel No 2. So to save time I shop online. It avoids the Great British Queue and frantic pleas from my daughter that she needs a wee ‘right now’, (at the precise moment we reach the till point). Christmas is a magical time, of course, for kids, but I also try and retain some sense of balance. So where I can, I aim to avoid endless plastic, over stimulating and TV inspired toys, because they often break or get relegated to the bottom of the toy box. Instead I opt for toys and kids’ gifts that capture the imagination, get the creativity flowing and invite endless exploration from little hands. 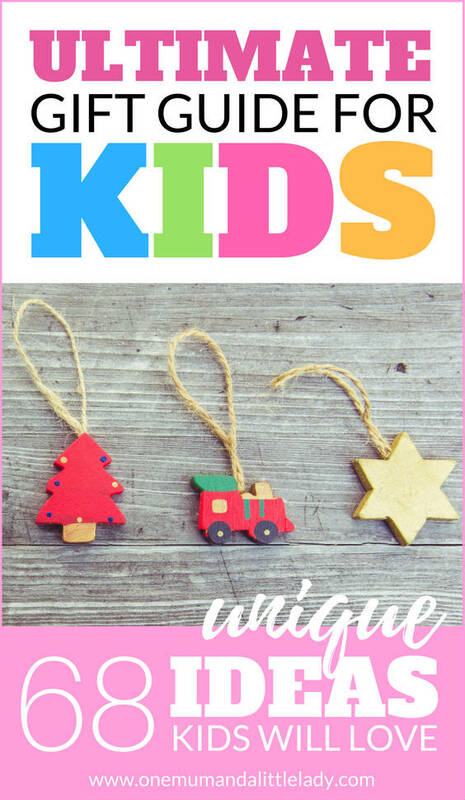 In the Holiday Gift Guide for kids below, you’ll find lots of ideas for little artists, mini inventors, budding scientists and explorers, games lovers and lots more. You’ll also find some eco-friendly gift ideas for kids that use wood, recycled or sustainable materials. Oh and I even think you’ll even find some unique gift ideas for that kid who has everything! 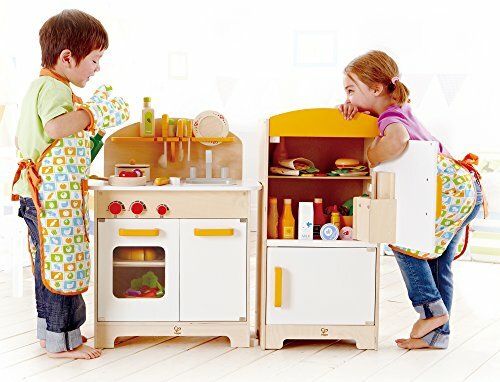 Hape Play Kitchen – I almost want one of these wooden play kitchens myself! Wooden Train Set – my Little Lady has spent hours building elaborate scenes with her Melissa & Doug train set. And so ‘ahem’ have I! Dressing Up Clothes – kids dressed as fairies & superheroes are guaranteed a smile in the supermarket! Toy Animals – my little lady loves her country animals tub, supplemented with a few sea creatures and grisly dinosaurs. Playmobil – tiny people for little people! Hours of classic imaginative fun. Wooden Dolls’ House – kids love acting out real life and a dolls house is the perfect setting to it. Indoor Wigwam – as soon as we move we are so getting one of these. Kids Gardening Set – unleash the mini gardener within. Great for imaginative play or the real thing. Stainless Steel Pots & Pans Play Set – ditch the plastic in favour of these. Perfect for budding chefs! Pop Up Play Tent – from ice cream trucks to princess castles, what kid can resist a pop up tent? Symphony in B – choose up to 6 instruments to put in the orchestra pit and hear them play! RockJam Electronic Keyboard – if you can bear the noise!, this bestseller is a great way to get mini musicians started with music. Wooden Play Instruments – a great sensory toy for little kids. Water Flutes – simply add water and start playing! Woofer Guitar – with 20 familiar songs, 9 doggie ditties & strings that really strum, this is great gift for little music lovers. 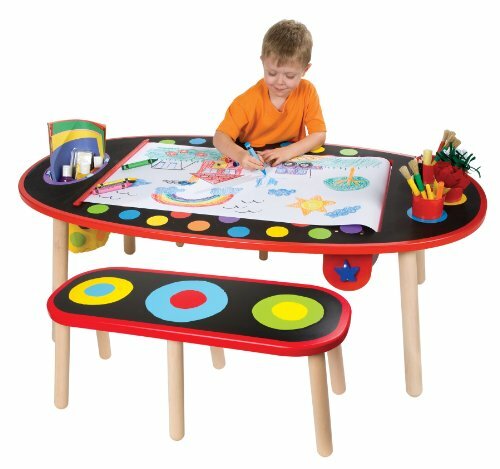 Kids’ Art Table – give your child there very own dedicated mini art space! Kinetic Sand – no mess, indoor sand that moves. Seriously! Buddha Board – imagine a kind of mindful Etch a Sketch, but with water! Lyra Ferby Coluring Pencils – well worth the investment and ‘the best colouring pencils ever’ according to my Little Lady (along with these pens.). Eco Play Dough – classic creative fun using all natural ingredients. Art Set – a staple of any child’s craft corner. Melissa & Doug Scratch Art – scratch off the matte coating to reveal vivid colours & patterns. Finger Paints – colourful messy fun for toddlers and little kids! Crazy Forts – my daughter loves building things, so she loves these! Snap Circuits – my Little Lady loved these from an early age. The easy to snap together pieces are perfect for little inventors to build simple circuits into light switches, alarms, fans and gadgets. Magna Tiles – these novel, easy to connect tiles are great for creating 3D cubes, pyramids & other geometric shapes. A bit of an investment but these get consistently great reviews. Marbulous – my Little Lady loves her Marblulous runs and will spend ages building an array of intricate structures, which act as mesmerising marble runs. Lego Classic – classic lego building bricks. Enough said! Wooden Building Blocks – unleash the imagination with some classic wooden building blocks. 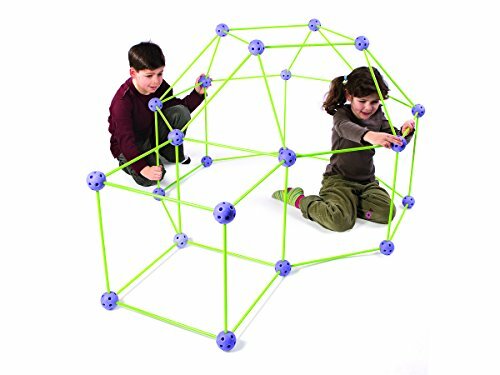 K’Nex Building Sets – these are great for kids who love building stuff. The ferris wheel was a huge hit with my daughter. Tinkerlab: A Hands On Guide For Little Inventors – 55 playful experiments that encourage tinkering, curiosity & creative thinking from the inspirational Rachel Doorley at Tinkerlab. Gifts For Action Heroes & Budding Gymnasts! 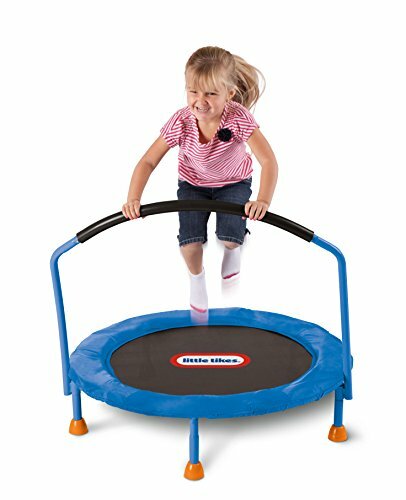 Indoor Mini Trampoline – bounce the kids tired on one of these! Gorilla Gym – I really want one of these for my Little Lady who literally jumps or hops everywhere. The Gorilla Gym offers hours of indoor fun for the mini gymnast. Zipline Kit With Lights – a night time ziplane with 50 multicoloured LED lights! Indoor Bounce House For Kids – if you have the space, these are a genius idea for helping the kids burn off energy indoors. Micro Scooter – show me a kid who doesn’t love these! Toddler Wheely Bug – my daughter loved whizzing around the house on her Lady Bug. Teeter Popper – great for energetic kids, these making a fun popping sound when they rock! 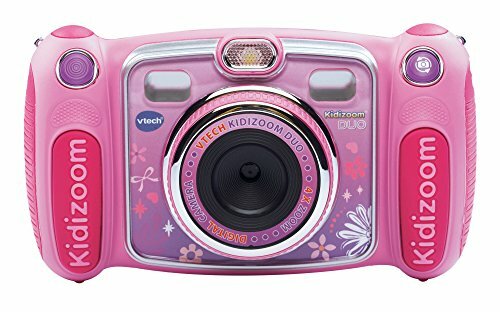 Kids’ Camera – I love photography and this cute (but fully functioning!) camera is a great way to get the kids exploring the world through a lens. Also includes some games. Beginner Microscope Kit – my Little Lady loves her mini microscope. Great for nature trails too. 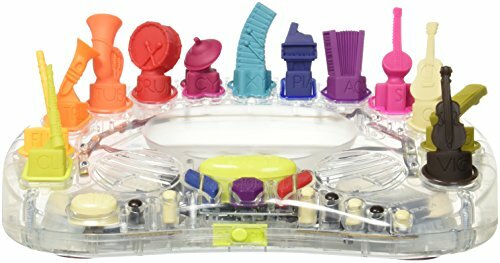 Electro Dough Kit – make your dough creations light up, buzz and more with this kit! Kids’ Telescope – most kids are fascinated by the night sky and a beginner telescope is a great way to introduce them to the wonders of the solar system. Always check magnification details as some kids telescopes are just plastic toys. This telescope gets good reviews from parents or try some astro binoculars, which is what we use (we use a Celestron). Mine For Fossils Discovery Set – a great hands on introduction to fossils and gems. I haven’t met a kids yet who doesn’t love hacking away at one of these! Bug Collecting Kit – great for getting the kids outdoors into nature. Science Kit – from volcano making kits to planetariums and tin can robots, a fun (and educational!) science kit makes a novel gift. 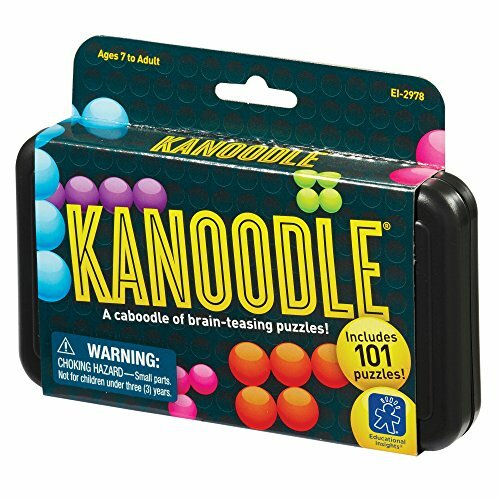 Kanoodle – challenge your child’s noggin with this best-selling, brain-twisting solo game! Jenga – can you remove a block without crashing the whole stack? Connect Four – classic Connect Four fun. Operation – I was so jealous when my cousins had this when I was 6. Monopoly – there are loads of variations of this classic game now, but I still think the original’s the best! Scrabble – with both kid and adult versions, no home should be without it! Ravensburger puzzles – some of the best puzzles around, this magical Unicorn puzzle is on our list this year! Plastic seems to be an inevitable part of our life, but I try and avoid it where I can. If you want to invest in some toys that are eco friendly, here are some popular options. Green Toys – although the toys are made from plastic, they’re BPA free and produced from recycled materials that help reduce landfill waste and carbon footprints. Hape Wooden Toys – from musical instruments to wooden activity cubes and puzzles, Hape is a best seller in creative and environmentally-friendly toys. Petit Collage – eco-friendly line of modern children’s decor, gifts and playthings. Good choice for wooden toddler toys. PlanToys – PlanToys create toys that inspire children’s imagination and all their toys are made using chemical free, kiln-dried recycled rubberwood and water based non-toxic colours. Try Apple Park and Under The Nile for some really cute soft toys and blankies for younger kids, made from organic materials. Looking specifically for gifts for babies? Try these 10 non toxic baby toys that are super cute and make perfect gifts! There are a zillion great books for kids out there, but I always love a good recommendation, so here are some of the favourites, in our house, you might like. 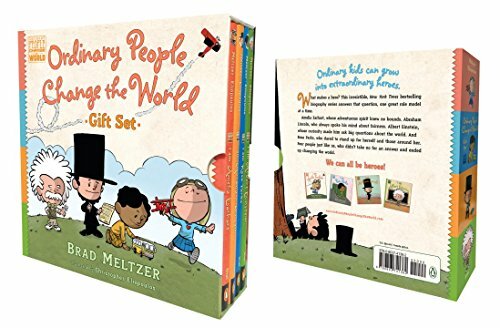 Ordinary People Who Changed The World Books – from Rosa Parks to Gandhi, inspire your little ones with ordinary people who changed the world. Love these. Anything by Dr Seuss – this man is a genius. Love, love, love his books. More importantly so do kids! Roald Dahl Books – most children can’t get enough of the wacky world of Roald Dahl. From The Twits to George’s Marvellous Medicine, you can see some of our favourites here. Usborne Lift The Flap Books – don’t even ask how many tiny cardboard flaps I’ve lifted in the past 3 years! Educational and fun. Giraffes Can’t Dance – one for younger kids, this is lovely little book with a big message. An Amazon best seller too. Alice in Wonderland – Timeless brilliance from Lewis Carroll! The Lion, The Witch & The Wardrobe – The Lion, The Witch & The Wardrobe is the most famous, but the other 6 books in The Chronicles of Narnia series are pretty darn amazing too. 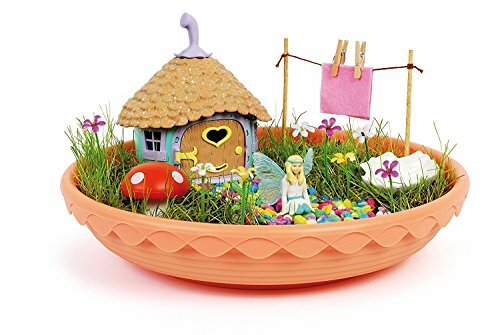 Fairy Garden – fairy gardens are all the rage. They’re also rather magical. Beeswax Non Toxic Crayons – all natural, creative fun. Reusable Sticker Pads – you just can’t beat some good old sticker fun. The Melissa and Doug ones are always a winner in our house. Backseat Car Organiser – these are ingenious and a blessing on those ‘are we there yet’ car journeys. Scratch Art Sheets – etch away and watch the rainbow colours unfold! Roald Dahl: Whizzpopping Joke Book – inspired by Roald Dahl’s wacky world, these should raise a holiday chuckle or two. Reversible Magnetic Dart Board – we find these work much better than the velcro ones. Crayola Mini Twistable Crayons – crayons with absolutely no sharpening required! Themed Colouring Book – from Harry Potter to unicorns, you can’t beat a colouring book for some quiet downtime! 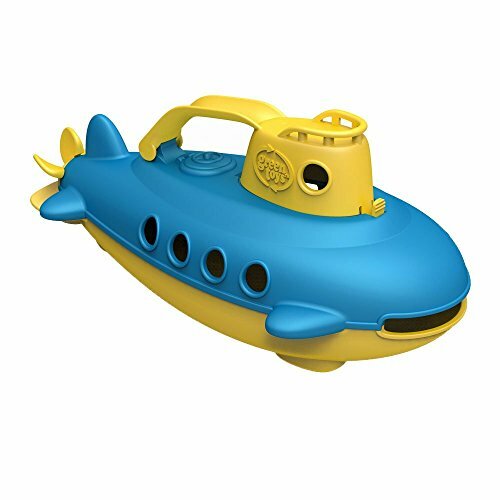 I’m sure there are loads more great gift ideas for kids out there, but these are some of our favourites. Hope you found them useful. What’s on your child’s gift list this year? Do you have a favourite gift to give kids?